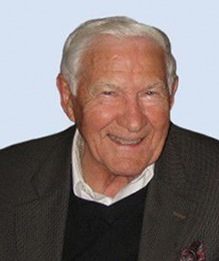 Dr. Thomas Langevin is a founder and current Chairman of The Registry. Dr. Langevin began his career in higher education in 1951 after earning a Ph.D. in history from the University of Nebraska, Lincoln. He first served at Concordia Teacher’s College in Seward, Nebraska, as professor of history, dean, and acting president. Concurrently with his Concordia teaching, he also taught American History for thirteen years at the University of Nebraska in its Extension Division. He became a post-doctoral Carnegie Fellow studying higher education at the University of Michigan before accepting a position as academic vice president at Pacific Lutheran University in Tacoma, Wash. Then he served for ten years as president of Capital University in Columbus, Ohio. In 1979, Dr. Langevin formed Thomas H. Langevin & Associates, Inc. as a higher education consulting firm. He coordinated curriculum consultations at more than 30 Lutheran Education Conference of North America colleges and performed institution-wide assessments of presidents, boards, and administrators. Previously, he served as the first president of Teikyo Loretto Heights University in Denver and was senior advisor/executive assistant to the president of Chapman College. In 1992, Dr. Langevin co-founded The Registry for College and University Presidents with his associate Dr. Allen E. Koenig. Dr. Langevin has served on numerous boards and commissions throughout his career, including for Air University at Maxwell Air Base, Ala., Nationwide Insurance Corporation, the Federation of State Humanities Councils, Blue Cross of Central Ohio, the Urban League, the Hillsborough County/Tampa Historic Preservation Board, and the Battelle Memorial Institute Foundation.